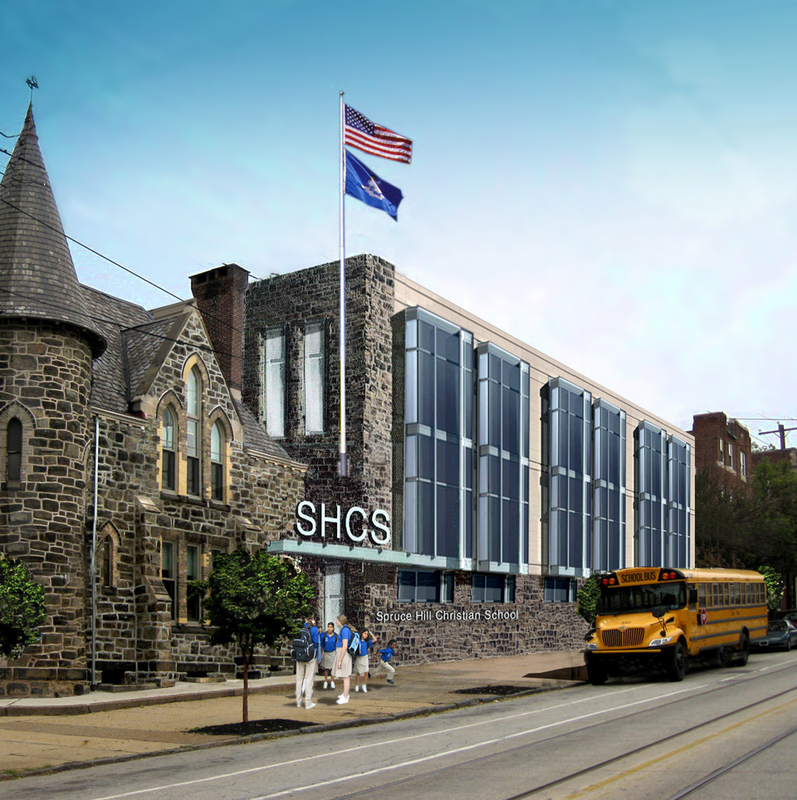 Spruce Hill Christian School is about to begin a major capital campaign to raise funds for an addition to their existing building or to purchase and renovate a new building. 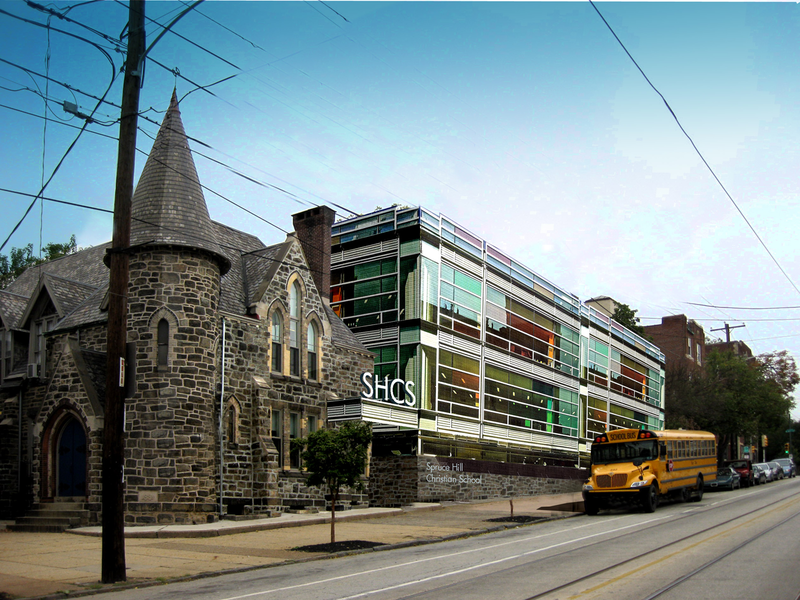 As part of this campaign, Berzinsky Architects had the opportunity to design the exterior of the building to fit into the context of the existing chapel space and Spruce Hill community neighborhood. 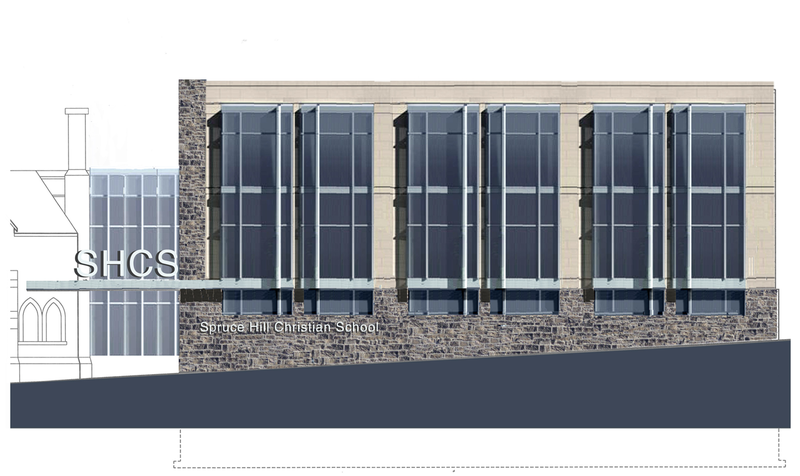 The rendering pictured here shows the existing stone building with a contemporary addition that compliments the current building while adding elements that speak to educational function of the building.